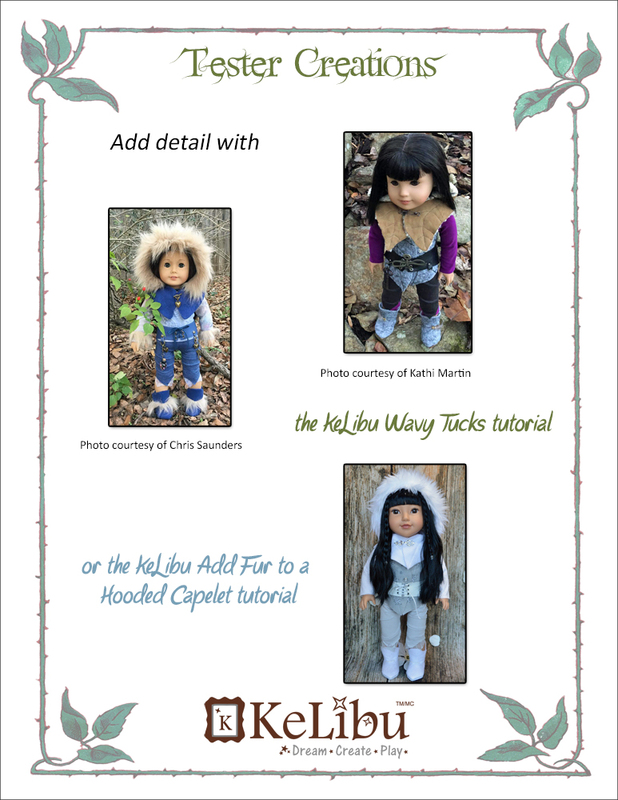 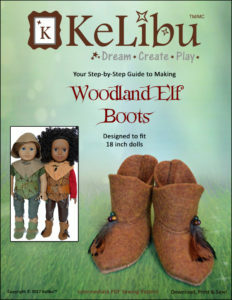 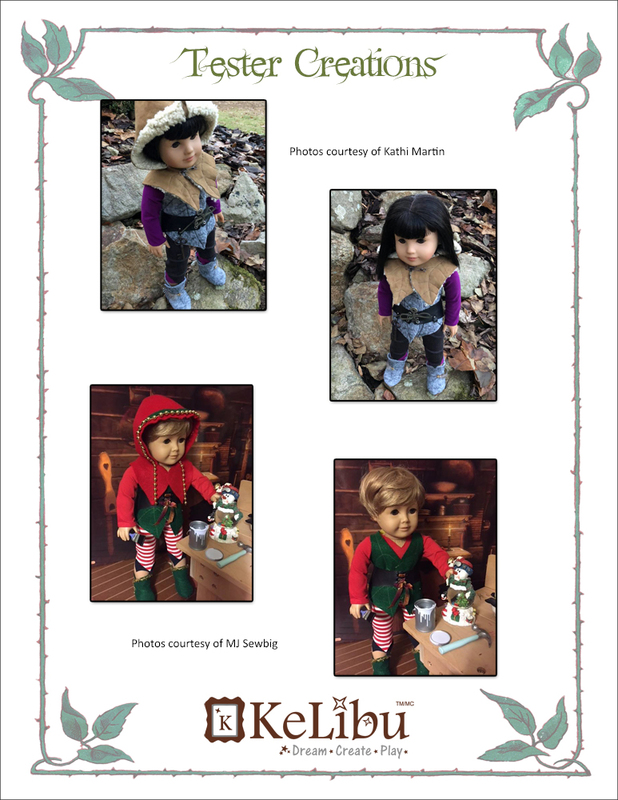 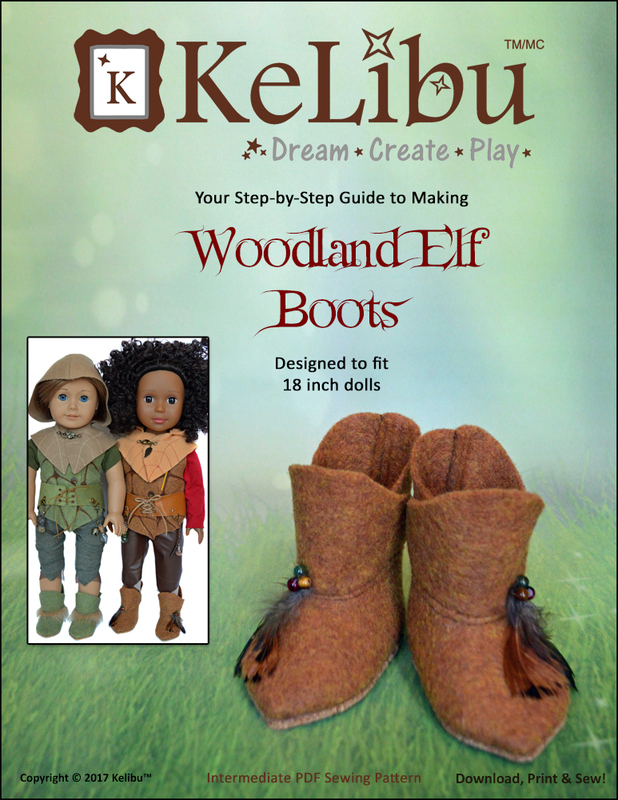 This digital doll clothes pattern will let you sew and adorable Woodland Elf costume for your 18 inch doll. 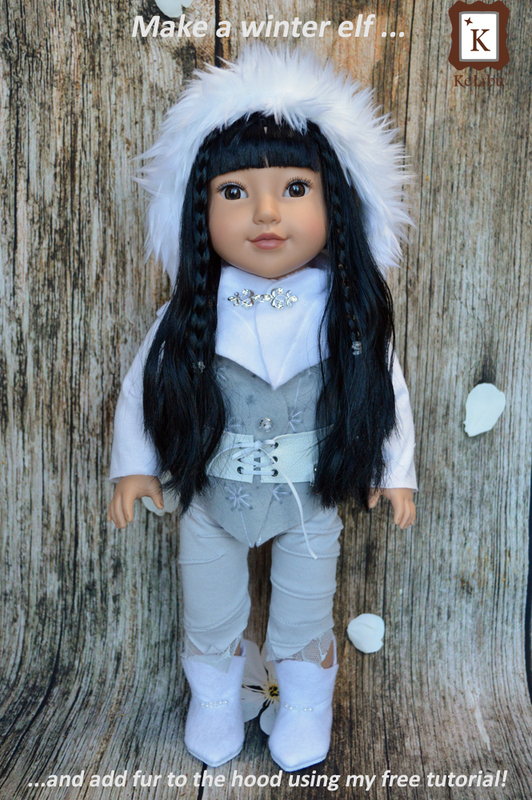 Mysterious, beautiful and magical. 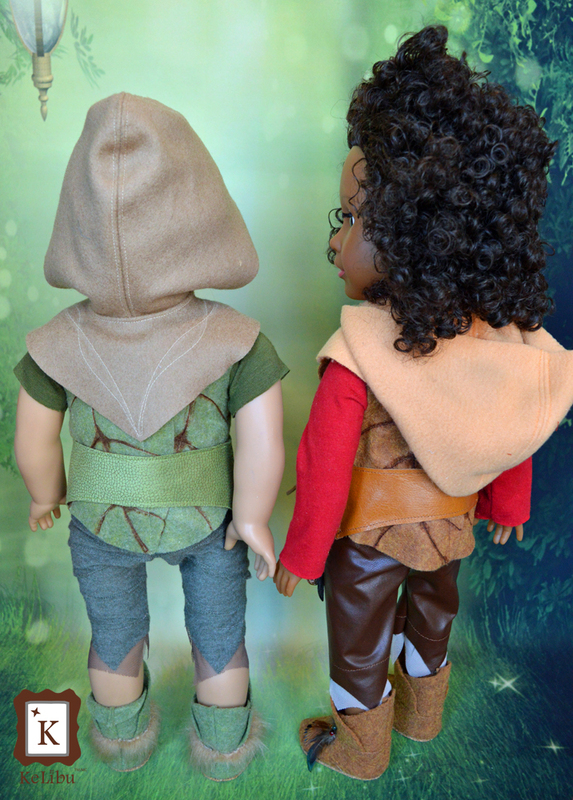 As guardians of the forest, the woodland elves protect the trees and live in harmony with animals and nature. 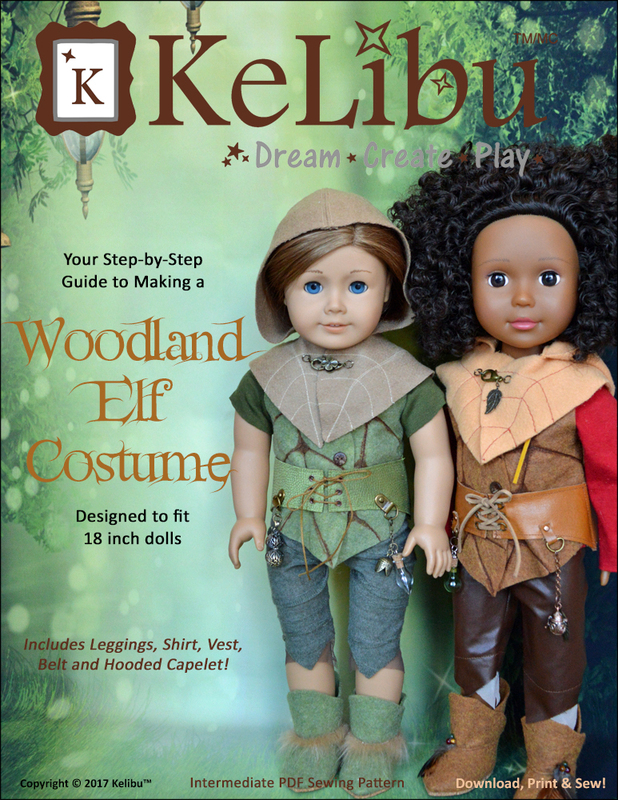 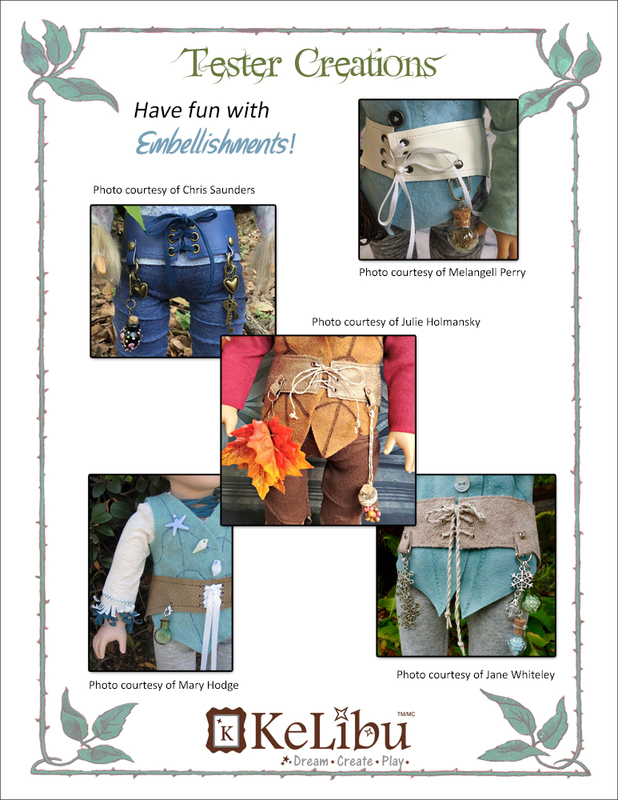 This PDF pattern will allow you to sew a beautiful five piece Woodland Elf costume for your 18 inch doll. 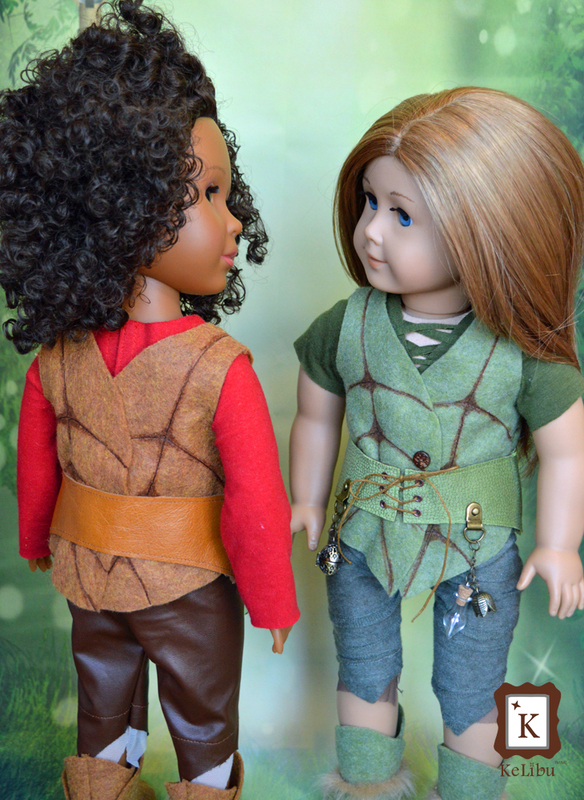 The pattern includes leggings, a shirt with two sleeve variations, a vest, a belt and a hooded capelet. 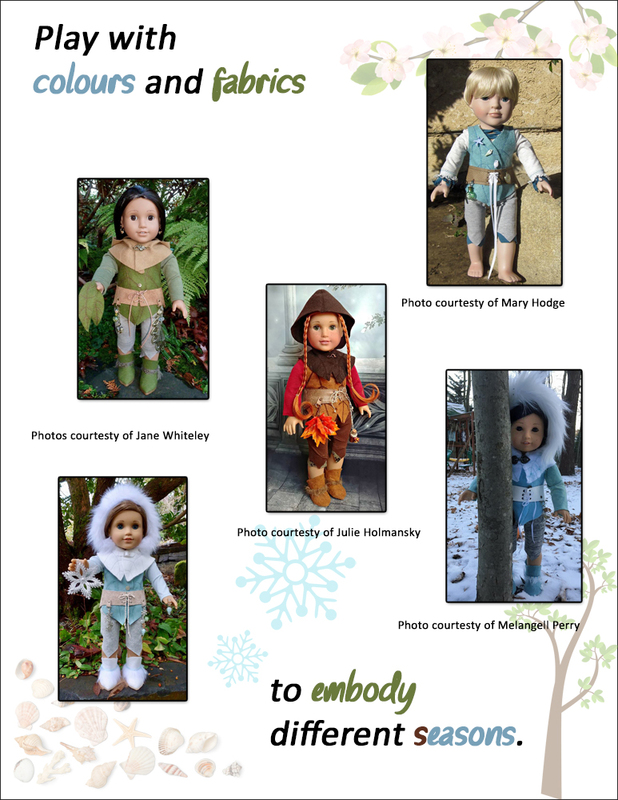 Choose greens and browns for a spring/summer look, warm oranges, browns and yellows for an autumn feel or white and grey for a winter feel. 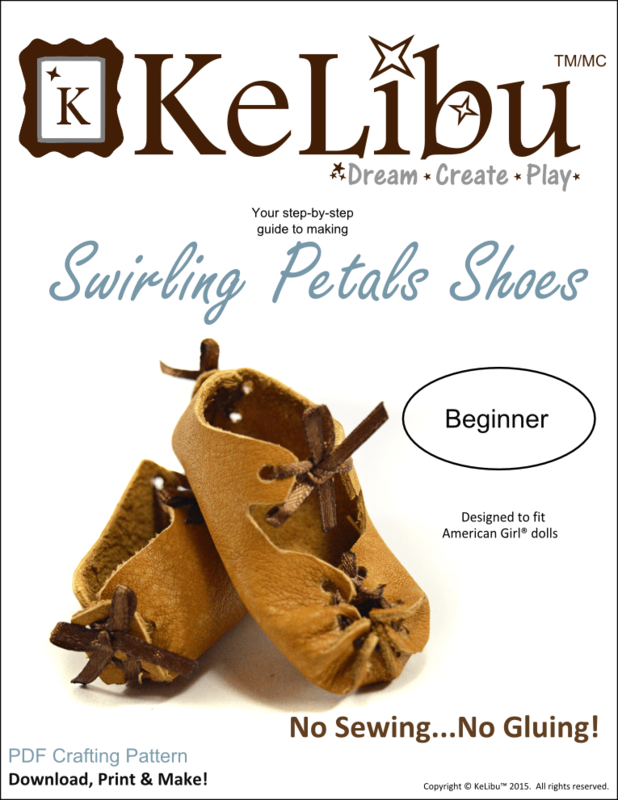 This pattern coordinates with other KeLibu patterns. 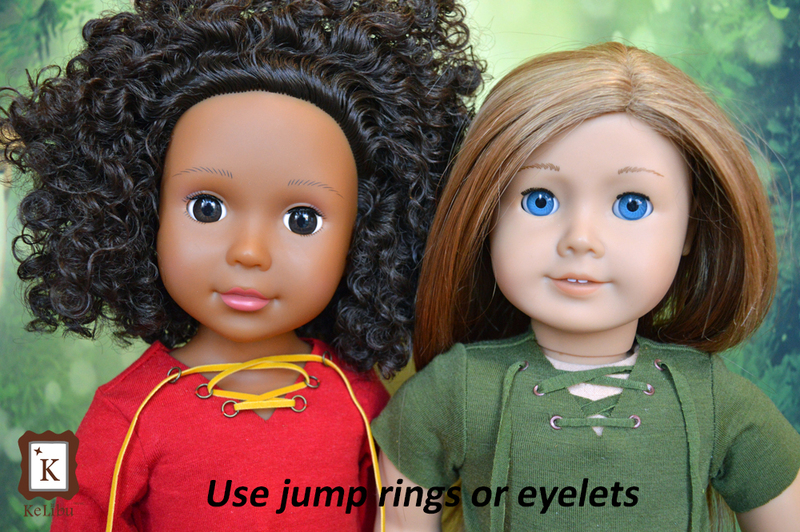 *If you can’t find eyelet washers, you can use small jump rings instead. 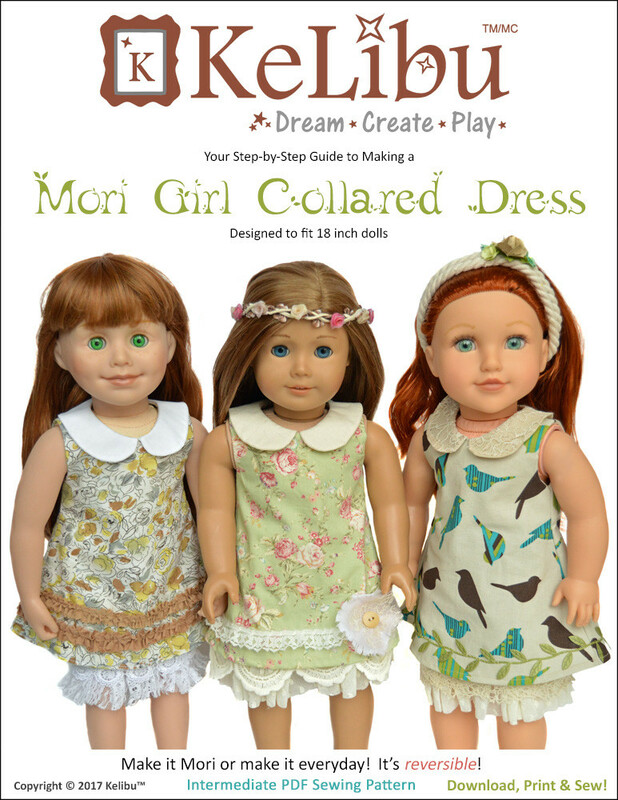 Closure of your choice. 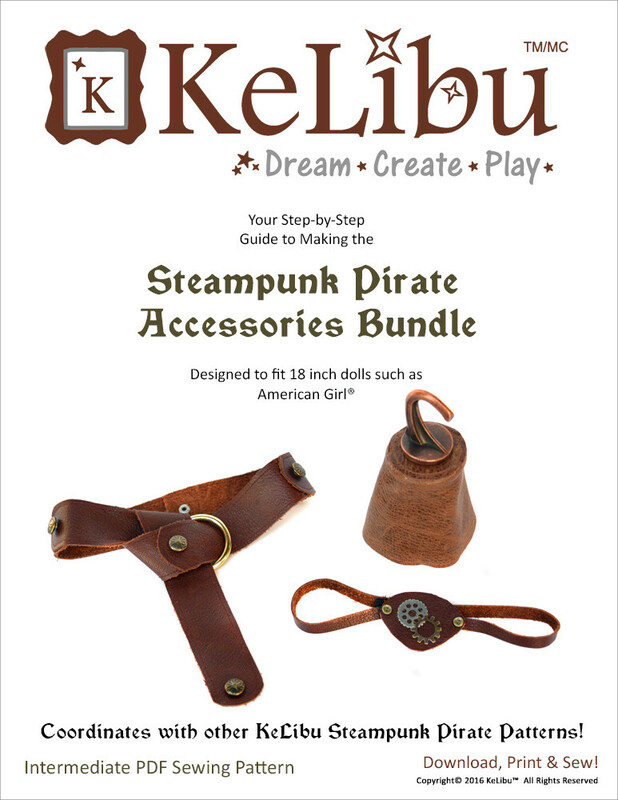 Jewellery closures such as toggle claps or lobster clasps work well.